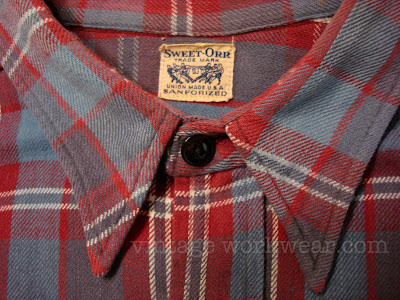 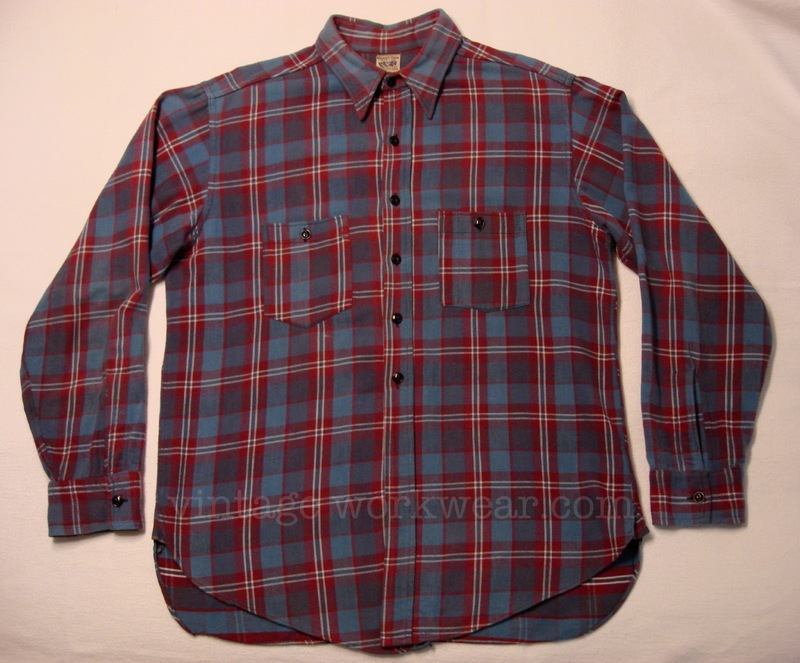 SWEET-ORR Union Made flannel work shirt constructed of heavy weight yarn-dyed SANFORIZED cotton with pointed collar, black convex two hole buttons and lower hem side reinforcement gussets. 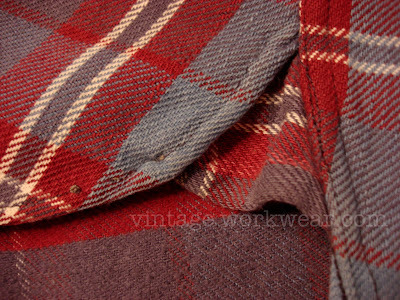 Patch type chest pockets, each with a slightly different shape and plaid pattern. Interesting detail in that the front placket buttons only run about half the length of the shirt, likely due to the high-wasted style of pants worn during the same 1950s time period . 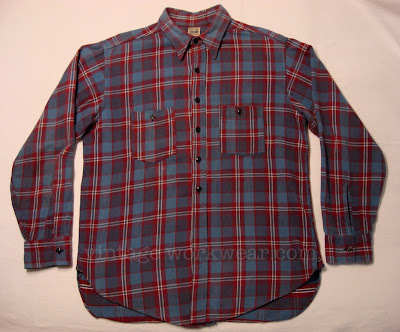 The wider lower hem portion of the shirt back likely helped in keeping the shirt tucked in during physical work.